Units were purchased by NS from Kansas City Southern in October 2006 for business train use. 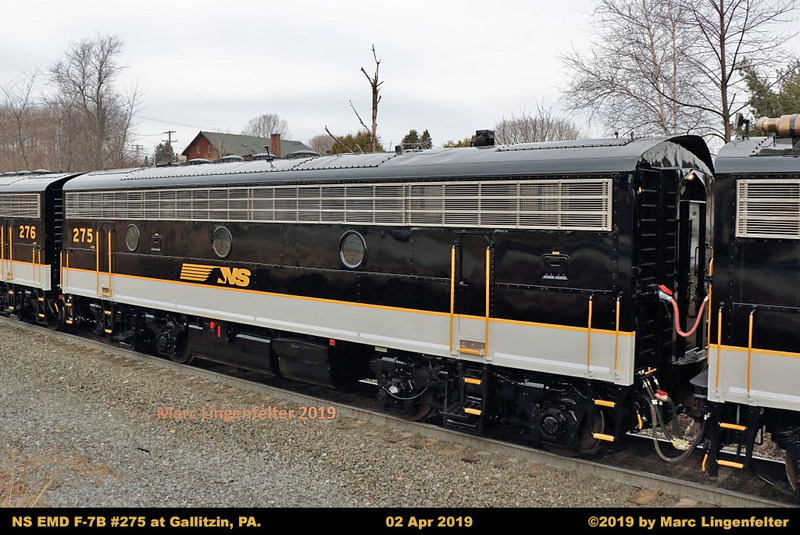 Units are stored in Altoona, PA when not being used for OCS (Office Car Special) trains. Units have 57:20 gearing with a 90 mph maximum speed, where permitted. Units are equipped with ECP (Electronically Controlled Pneumatic) train braking. Units are equipped with SmartStart auto start/stop system. and replacement of the D12B generator with an AR10 alternator. in March 2018 to a non-turbocharged 16-cylinder 645E rated at 1,800 horsepower. Both units equipped with the Traction and Engine Control Unit (TECU) from TMV Control Systems. 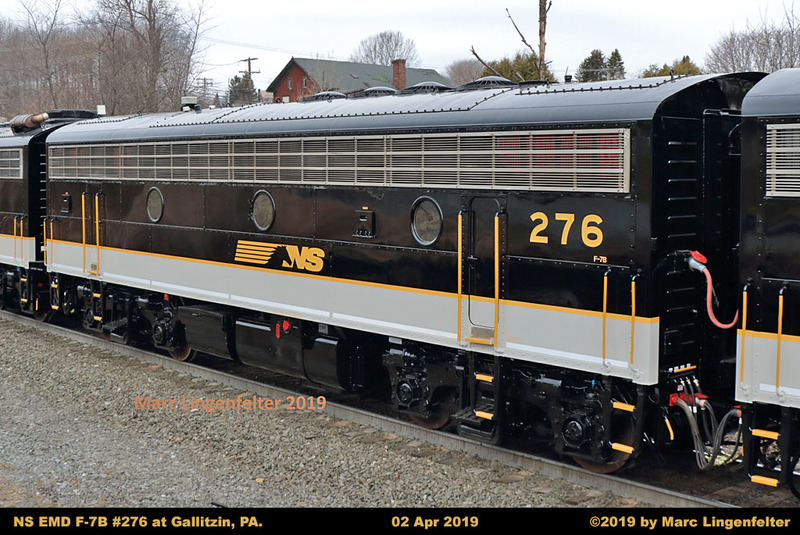 Both units repainted and renumbered from NS 4275-4276 in March 2019.